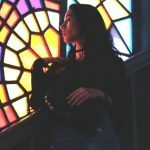 ProGunDating.com Review - Is this dating site worth it? 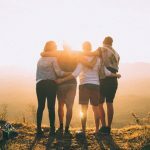 ProGunDating.com Review – Is this dating site worth it? Are you looking for the best bang for your buck? Have you been looking for other gun lovers like yourself? Do you want to find that special guy or gal who knows how to rack and stack like you? If you hold the second amendment near and dear to your heart, then ProGun Dating is your go-to source for the best online dating matches. We love the ease of finding matches on this online dating site as well. The signup process is so simple and easy to complete, unlike those other websites that use fancy math algorithms to match members. Pro Gun Dating believes that you should get to know your match in a natural way, instead of sifting through endless questionnaires to view your matches responses, just ask them. When signing up for Pro Gun Dating, you will realize how simple and easy the process actually is. It is obvious that Pro Gun Dating has put a lot of time and effort into streamlining their processes to make it as simple as possible for any user. We loved their interface and how well organized it is to use. The sign-up process itself is split up into two different parts. First, you create your account which takes one to two minutes to complete. Second, you will update the information in your public profile which takes on average five to fifteen minutes to complete. The first part of creating your account has three super quick steps which will take you all of one to two minutes to complete. 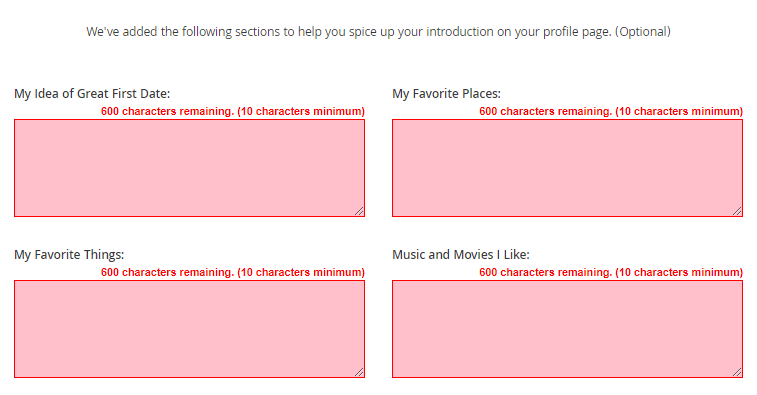 The second part of the sign-up process is editing the content of your actual public profile. On average, this second step could take you five to fifteen minutes to complete. It is broken down into four, simple parts: About Me, I Am Seeking, My Introduction, and My Photos. We’ll go into more detail about each section below. This section allows you to elaborate more on the basic information you entered during the initial account creation steps (pictured above). 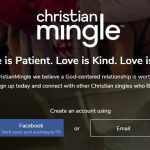 You are now able to let other online dating matches know about things such as your religious affiliations and education level, although these are optional steps. Dropdown box geniuses! We love the ease of completing the Lifestyle section! Gone are the days of putting all this information in a lengthy about me section. In this area of the About Me section, all you need to do is click through some of the basic things you are seeking in a potential online dating match. 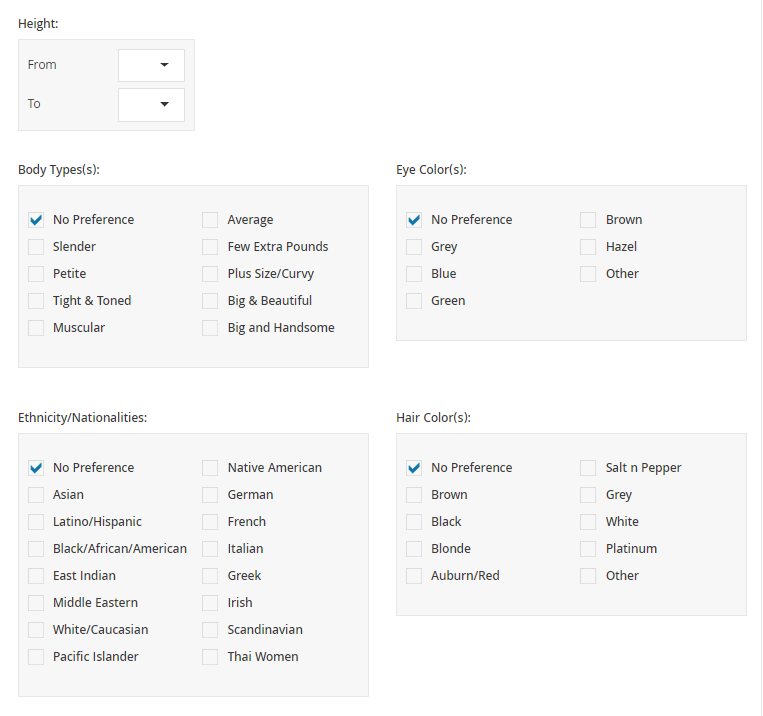 Areas covered include: marital status, ethnicity/nationality, height, body type, eye color, and hair color. This section is very important when it comes to us finding our best online dating match. For example, if you are a woman seeking a tall man, and a short man is reading through your profile he may realize that the odds are not stacked in his favor. Did you see what we did there? Stacked…… lol! Be honest and open when selecting your responses for the I AM Seeking criteria. Perhaps you are open to a lot of diverse types, for example you don’t have any hair color preferences, great, just select them all! Being honest about what is and isn’t okay will save you a lot of time in the long run. 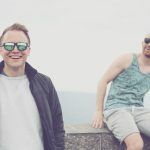 If you are anything like us, completing those “about me” sections can be where you typically spend the most time creating your online dating profile. It can feel overwhelming and awkward sometimes to have to write about yourself. We all know how amazing we are, but sometimes we don’t know how to put that amazing-ness into words without sounding completely full of ourselves. With Pro Gun Dating, they take the guess work out of what to write about yourself by giving you amazing tips, ideas and examples for completing the ‘Your Headline’ and ‘Introduce Yourself’ sections with complete ease. 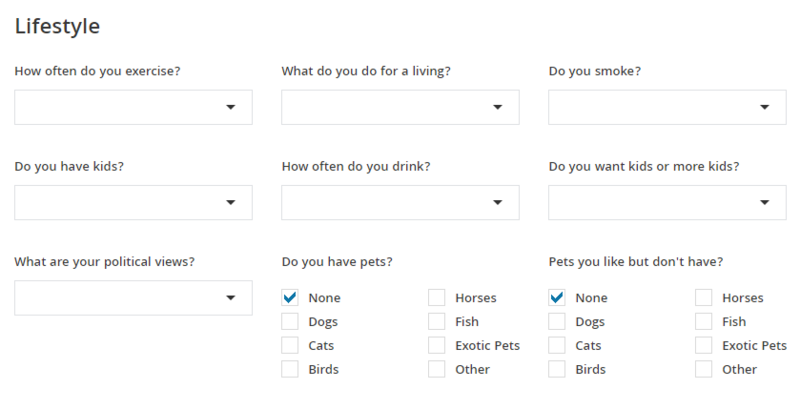 There are also only four additional open-ended questions within your profile, so you won’t feel overwhelmed, and these questions are completely optional, so if you don’t want to fill them out you don’t have to. According to Pro Gun Dating, these questions are there for you to add a little “spice” to your online dating profile. Remember, Pro Gun Dating is all about making things quick and easy for you, so you can get out there and meet your online dating matches fast! We do suggest filling out these additional questions with at least a little something. 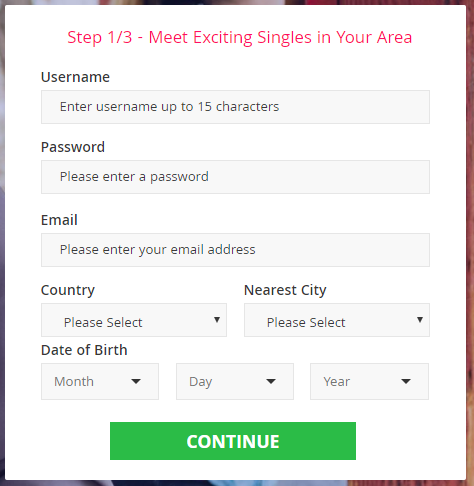 Their whole purpose is to ultimately bring better online dating matches your way. The more you write, the most interest you will create in your new potential match. 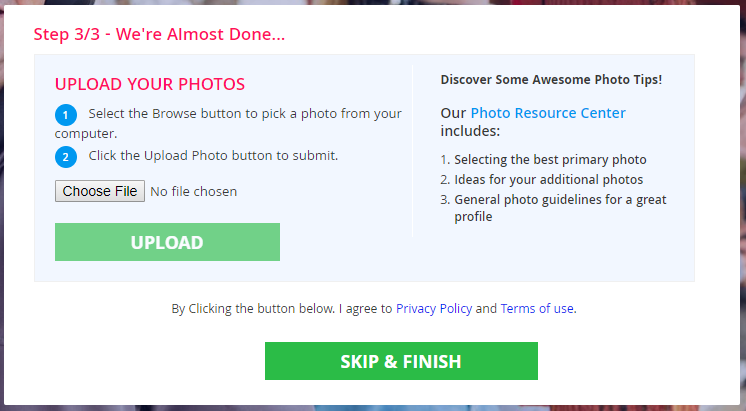 You can upload up to ten photos into your ProGunDating profile. Uploading a profile picture is highly recommended because without one your online dating profile will not appear in searches for potential matches, and some of the other site features will be restricted as well. Once photos are approved, usually within 24 hours, they will appear on your online dating profile. Photos designated with a thumb’s up icon means that it fits all criteria to be used as your primary profile picture. To meet these criteria, the photo must be a clear photo of your face, only you are in the photo, has a minimum resolution of 98 x 98 pixels, and is no larger than 5MB in size. We noticed that all photos on the site are very clear images, and do not appear to have been taken with a potato camera. We really appreciate the effort that ProGunDating has put into their process of approving photos, with millions of users you can tell they have a truly quality product and process. We can honestly tell you, yes, there are high quality matches on this site. We searched in even the most obscure of locations and were still able to find a lot of great online dating matches on ProGunDating.com. The most important part of any review we do of an online dating site is whether there are quality matches for you to choose from. If there aren’t quality matches, then what’s the point, right? 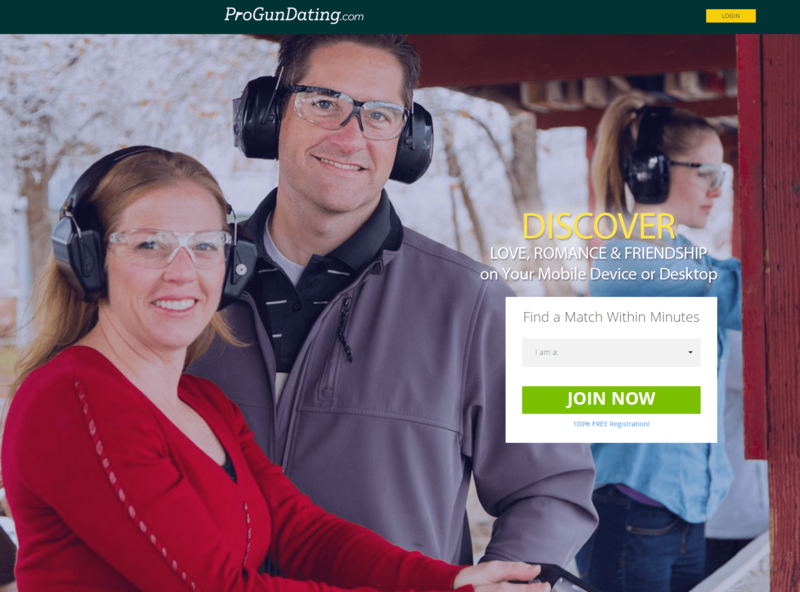 Thanks to Progun Dating’s ease of use of their product, members sign up in droves to utilize their online dating service. 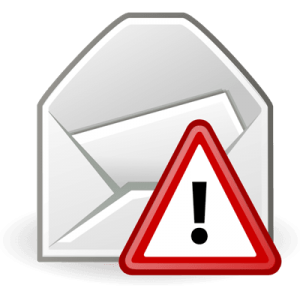 The member accounts are real and authenticated, so you aren’t going to get spammed either. This is great news! And they do an amazing job of deleting any spam account that may have somehow slipped through the cracks. All we found were real people, looking for real matches, and ultimately… real love. Aww… we know… so cute! 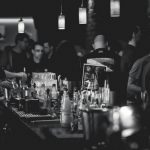 We tested out the matches in a lot of different cities using different search criteria and found a lot of online dating match possibilities. This means that the number of members on the site must be a vast number. Matches are presented to you in a clear grid-like format right on your home page. There is also the search function that has a lot of great ways to find your online dating match. We enjoyed the ability to see matches based upon Latest Login and Newest Member right on the home page. This information is constantly updating too. So, you won’t continually see the same users repeatedly. The bottom line result of our ProGunDating reviews is this site takes great pride in their product and because of that they have great quality matches. We found that most people on the site are looking for a serious commitment, but there are people looking for all sorts of relationships. This is a great site to find whatever type of relationship you are looking for. Regarding age of singles, we saw ages all over the scale. There were singles in their mid to late 20’s, 30’s, 40’s, 50’s, and 60’s were the most prevalent age groups, but there were some singles in the early 20’s bracket and on the “more life experience” side of the bracket. Progun Dating’s website is super easy to use and has a lot of excellent features. We love how nicely laid out the website design is; and no matter your level of comfort with using a computer or smart device, you will have no issue navigating Progun Dating’s website to find your online dating match. One of our favorite features on the site is the ability to manage your email notifications so you aren’t receiving a ton of emails each day… unless you want to of course. You can manage this feature through the My Settings button on the home page left side margin. Select only those emails which you want to see and deselect the ones you don’t, save your changes, and it’s that easy. 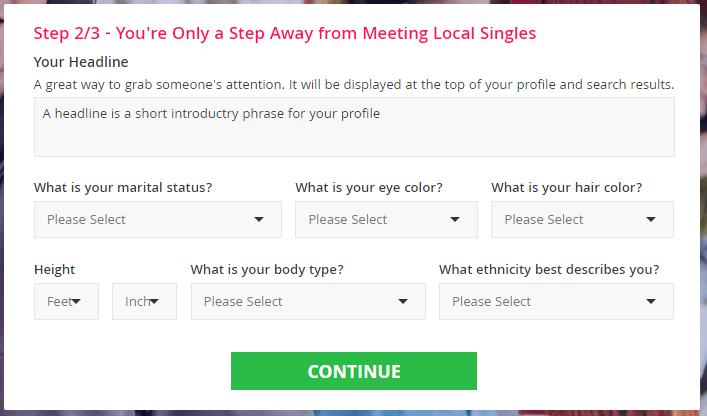 Another feature we really like is the ability to set up Meets with your online dating match. You can send a meet request to your new crush, and they can send one to you. You can track all your meets through the Meets button found on your home page left side margin. It’s great to take that next step when it comes to online dating, just remember to use caution when you decide to meet someone for the first time. We really enjoyed not having to come up with a lot of quirky commentary about our lifestyle and interests. All you need to do is click or select items that apply to you and your lifestyle. How easy and fast is that, right? 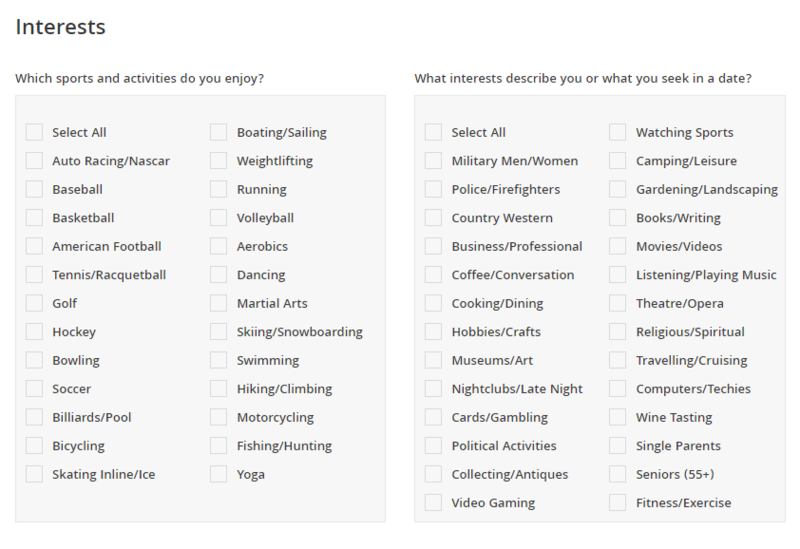 There are great choices available in the interest’s section, and you can always add other items under your About Me section. Your online dating match will appreciate being able to easily view your interests. We were very impressed with Progun Dating’s customer service. They have ten years’ experience in the online dating world, so this is not their first rodeo. They have used those ten years to fine tune their processes and websites to offer their customers a truly great product at a super affordable rate. We really like that an actual person will review your profile when you initially sign-up, versus a programmed algorithm other sites use. Those programs are how so many spam accounts get through the cracks when it comes to online dating. Progun Dating offers a spam and ad-free user experience, and we are all about that! Thanks, Progun Dating! All customer service requests are handled by an actual live person, a Progun Dating representative, and they responded to all our inquiries very quickly. We like timely service! 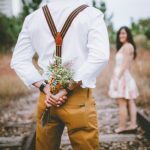 You will also see very personal responses to any inquiry, not a generic email your name was plugged into by a computer program; that personal touch really sets Progun Dating apart from the rest. For being such a large online dating website, it is surprising to see they still take the time to provide amazing customer service. If you need help simply click on the Contact Us button located on the home page’s left side margin. 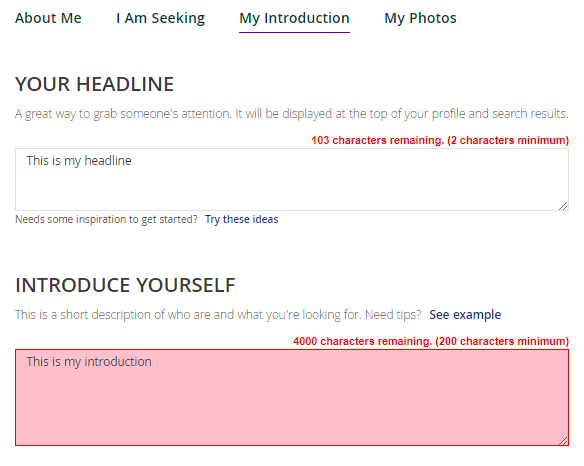 Simply select your subject (the reason for your message) and type a message in the Your Message section. A live person will get back to you quickly. The pricing for this online dating site is not complicated, and for what you get the price is well worth the investment into yourself. The whole point of online dating is to maximize your potential to meet your person, right? Then why not maximize that potential by maximizing your account, that’s our take. The Progun Dating website offers two types of memberships, Free (member) and Premium (subscriber). We will discuss the difference between the two below. As a free member you can reply to messages from your online dating matches, send winks, likes, meets, and favorite other cuties. You may have up to 10 photos. You are also able to block any specific members who may be bugging you, this is a nice added security feature. There are so many added benefits to upgrading your membership to the Premium version. As a Premium subscriber you have full access to all site features. 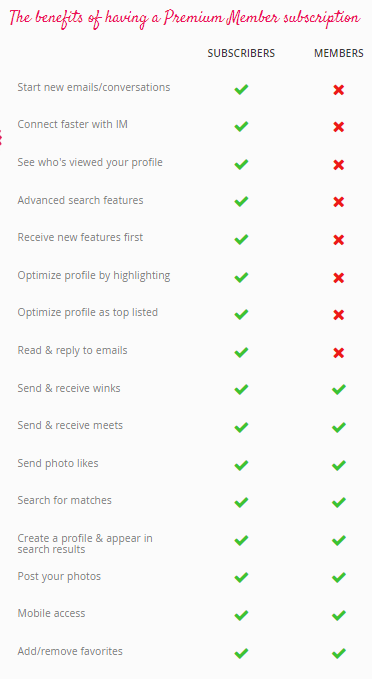 Advanced search functions streamline your matches the way you want. What we loved about the advanced search options for Premium subscribers is that it really allows you to see those matches most closely resembling what you’re looking for in an online dating match. Why waste time sifting through tons of matches, when you can be directed to exactly what you are looking for. We like it. We like it a lot. 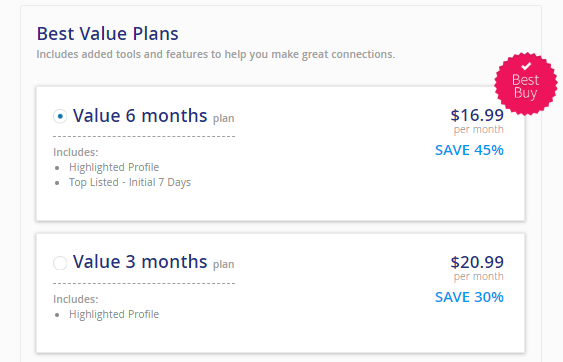 Pricing plans for Premium subscribers are cheaper when you select more months up front. Anyone who knows the old expression about kissing a lot of frogs before you find your Prince or Princess Charming knows it can take time before you meet your perfect online dating match. Being armed (did you see what we did there… armed… lol!) with this information up front makes signing up for a subscriber account with a longer term an absolute no brainer. Plus, it’s cheaper! Score! Here are the convenient prices for the Progun Dating membership. You can sign-up for a Best Value Plan which has the added bonuses! Would you like your profile highlighted and being top listed in search results? With so many users on Progun Dating’s website, being highlighted is an excellent value for a small investment. The site’s six-month best value plan is truly the best bang for your buck (did you see what we did there… bang… lol!). If you’re going to go, then go big! Is Pro Gun Dating worth it?